Central neuropathic pain of Multiple Sclerosis. Approximately two-thirds of patients with multiple sclerosis (MS) experience neuropathic pain. Despite this, the pain of MS is understudied and not well treated. The FDA recently approved fingolimod as a disease-modifying therapy (DMT) to prevent MS relapses. Fingolimod modulates the function of the sphingosine-1-phosphate receptor-1 (S1PR1), a GPCR. 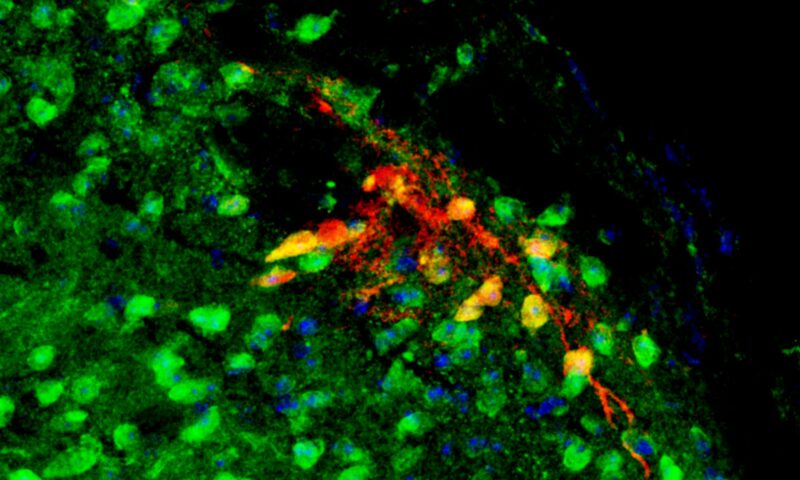 To determine whether S1PR1 ligands such as fingolimod ameliorate the pain of MS, the group is using an optimized experimental autoimmune encephalomyelitis (EAE) mouse model of MS. They predict that intrathecal administration of S1PR1 agonists will target pathological processes in spinal glia so as to alleviate the central neuropathic pain of MS. Ben Shaw has submitted an F31 to pursue this project using conditional S1PR1 knockout mice, flow cytometry, small animal MRI, immunohistochemistry, and behavioral pharmacology, a project for which they have a key manuscript just published and for which they intend to submit as an R01 in 2018. Doolen S, Iannitti T, Shaw BC, Grachen CM, Donahue RR, Taylor BK. Fingolimod Reduces Neuropathic Pain Behaviors in a Mouse Model of Multiple Sclerosis by a Sphingosine-1 Phosphate Receptor 1-Dependent Inhibition of Central Sensitization in the Dorsal Horn. Pain. 159(2):224-238 (2017). PMID:29140922. Fu W, Taylor BK. Activation of cannabinoid CB2 receptors reduces hyperalgesia in an experimental autoimmune encephalomyelitis mouse model of multiple sclerosis. Neurosci Lett. 595:1-6. (2015) PMID:25849525.